Smart up that body and brain! 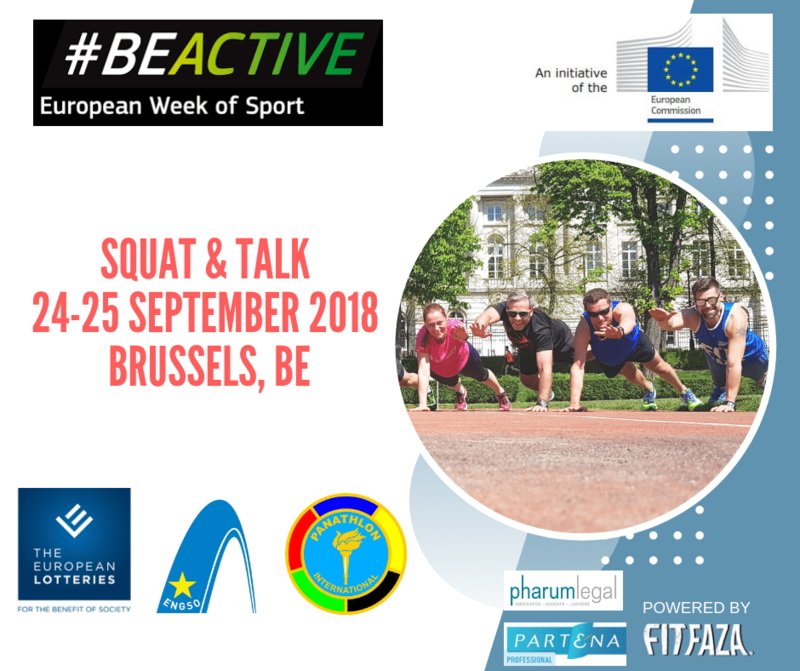 ENGSO, Panathlon International and the European Lotteries invite you to take part in our #BEACTIVE squat & talk event during the European Week of Sport. Will you challenge your body with the simple but argh-so-effective Bring Sally up* challenge? Are you joining us for mind-opening discussions on gender, money and physical activity? 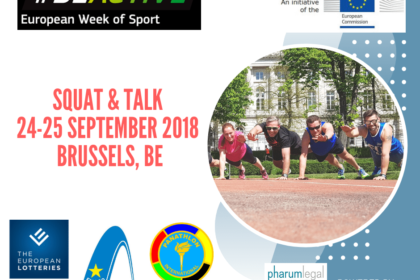 You are welcome to choose to squat, talk or both!